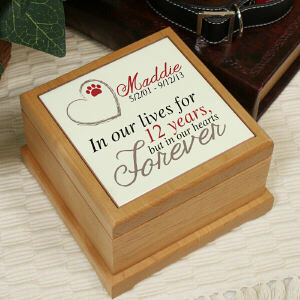 There are not many things in the world more difficult than saying goodbye to a beloved pet. 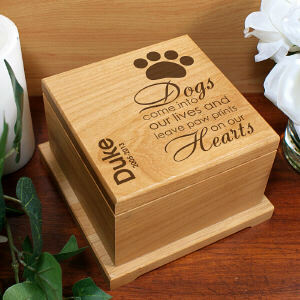 After they’ve provided you with so much love over the course of their lifetime, it can be devastating to adjust to your new life without them. 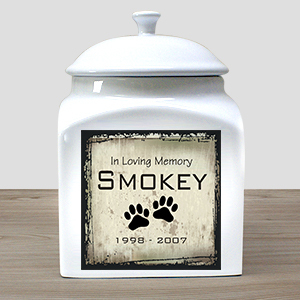 If you have chosen to have your pet cremated, these personalized pet urns provide an honorable resting place for your loyal friend that can help you process their loss and focus on all the wonderful times you had together. 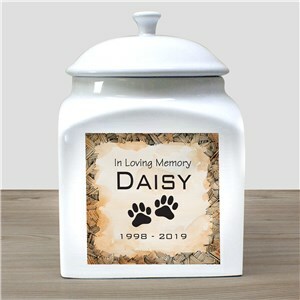 A beautiful urn personalized with the pet’s name, memorial dates, and even a favorite photo of them can also make a powerfully touching gift to a friend or loved one dealing with such a painful loss. Really nice frame. Loved the way it came out. 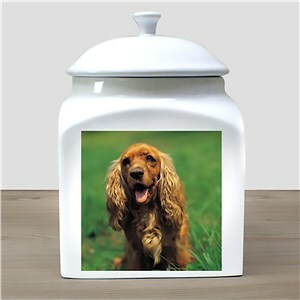 High quality for not so high price. Very satisfied. 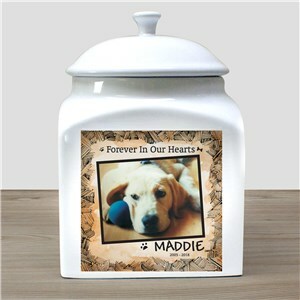 In addition to personalized pet urns, we also offer other items that can be soothing for those grieving the loss of a cherished pet. 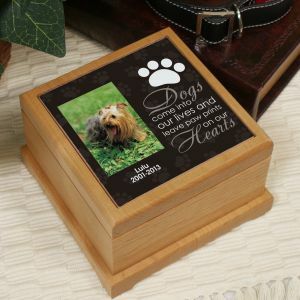 A memorial garden stone serves as a powerful reminder of your pet’s love that can be enjoyed in your garden, yard, or on your patio for many years to come. 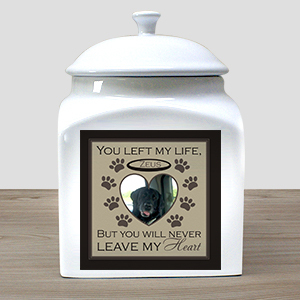 If you're looking for a beautiful item you can display in your home to commemorate your pet’s life, consider a personalized picture frame. 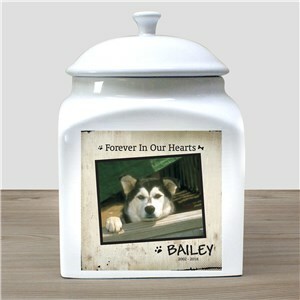 Choose whether your frame will have blue or pink accents and then customize it with your pet’s name and memorial dates. 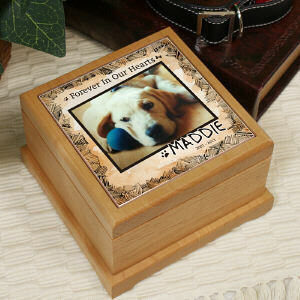 Another touching way to memorialize your pet is with a memorial garden stake that can beautify your outdoor decor while keeping your dear pet close to your family’s heart.